Starting as a manufacturer of bicycle parts and steel tubing in 1944, Kia has since developed to now produce some of the best economy class cars available. They have helped define the standard for all new breeds of economy class cars. The Dempster’s Quality Car Care service and repair team are more than happy to work on Kia vehicles and to help their owners keep them at the highest of standards for many years. 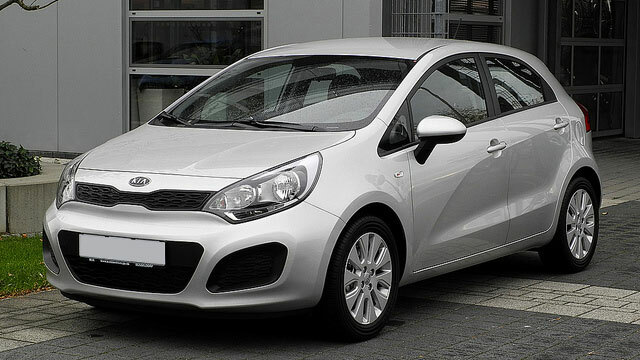 Kia currently produces several popular cars: the Rio, Soul, Forte, Optima, Cadenza, Sportage, Sorento and Sedona are all frequently seen on the road. Our professional team are experts at keeping these cars operating as Kia intended. Just because these cars are affordable to buy doesn’t mean that our team doesn’t take them seriously. They know that purchasing a car is a serious investment, and they want to help you maximize what you get out of it. As Kia adopts to the usage of the latest automobile technology, we make sure that our team of ASE Certified Technicians are always on the cutting edge when it comes to knowledge and equipment. We use computerized diagnostic equipment on cars of all makes and models, and we’ll be sure to use it on your Kia so we can get a complete picture of what it needs. Our certified technicians are happy to answer any of your questions. Put our service to the test and give your Kia the service it deserves—If you have questions regarding your vehicle, or if you would like to make an appointment, give us a call on (215) 441-8002 or visit us at 16 E. Montgomery Ave, Hatboro, PA, 19040 to speak to our friendly staff about any concerns or questions you may have. We will be more than happy to help you schedule an appointment!